Hands down, RadioRA 2 is a wireless system that’s ideal for a few rooms – or an entire home, up to 5,000 square feet and is recommended by our entire Brantford electrician team recommends. That’s definitely saying something about the high-end Lutron product. This energy-saving system gives you the ability to adjust the amount of daylight and electric light (using light controls and automated shades), as well as temperature. It even turns off standby power to small appliances when they’re not in use. You’re not only investing in a system that will enhance your life, you’re also making making a conscious choice to lessen your environmental impact. Besides adding convenience to your daily life, the electrical experts at Bishop Site Services will show you the many advantages of this total home control system. You’ll end up with the perfect atmosphere, always, when you need it and where you want it. RadioRA 2 keypads, dimmers, wall controls and accessories come in a variety of colour palettes, while shades are available in many styles and fabrics. You can even choose colours and fabrics to complement a room’s look and feel, to coordinate with the style of your home. You can add temperature control to RadioRA 2 for increased convenience and energy savings. You can also control the thermostats from mobile devices, so you can conveniently adjust temperature even when you’re away from home. Choose from a variety of wireless components to customize and grow your system from a single room to a whole home. RadioRA 2 also works directly with shades and drapes, to ensure an ultra-reliable wireless communication between components. The specialists at Bishop Site Services will show you how RadioRA 2 provides control from universal remotes, home automation systems, mobile devices, and more – all from a single repeater. The Lutron integration protocol allows virtually any device capable of sending and/or receiving RS232 or IP commands to control lights and shades. Two-way functionality provides the ability to monitor the status of lights in the home including light levels and access database-level system information. Not to be outdone, Bishop Site Services’ experts will even keep you up to date on the latest developments using the RadioRA 2 system. Directly control a RadioRA 2 system using voice. No need to press a button to adjust light, shade or temperature control scenes. 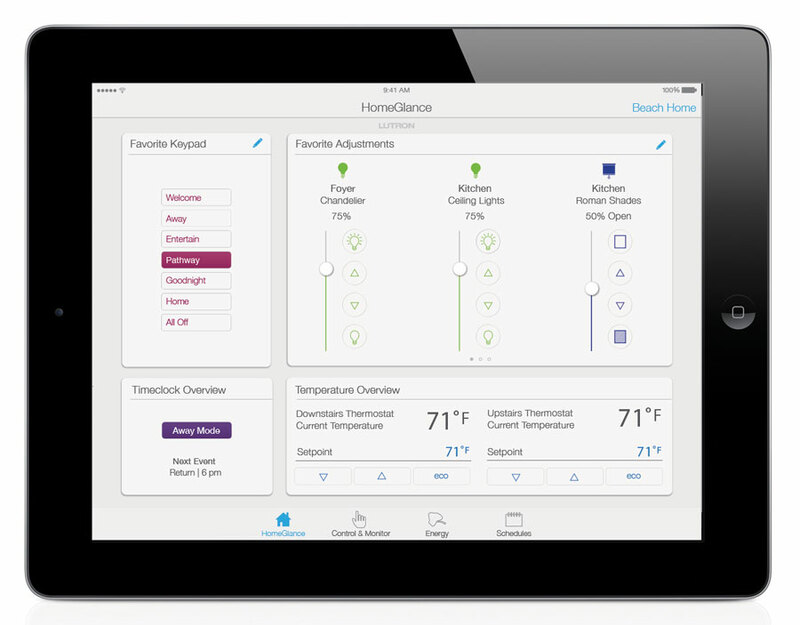 Directly control sound systems alongside lights, shades and temperature using RadioRA 2 keypads, Lutron Connect app, or audio remote. Use for quick, convenient hard-button control of audio. Play, pause, skip tracks, cycle through favourites and adjust volume – without having to launch an app. Suite of new hardware and software that enables geofencing, free remote access, Apple and Android widgets, system timelock synchronization, battery-status monitoring and rollback … and more. Any way you look at it, Bishop Site Services can provide the guidance needed to take your home to the next level with an advanced, customized RadioRA 2 system. 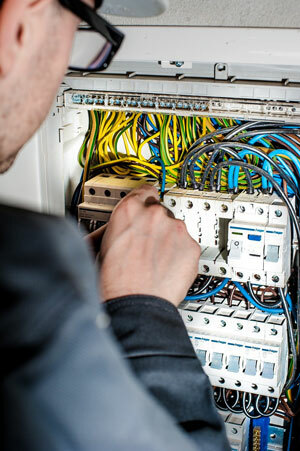 Bishop Site Services is one of South Western Ontario’s top electrical contractors. For nearly two decades, Chris Bishop has done it all in his industry: From traditional electrical work, to updating old knob-and-tube wiring, to his latest passion – home automation and energy efficiency.